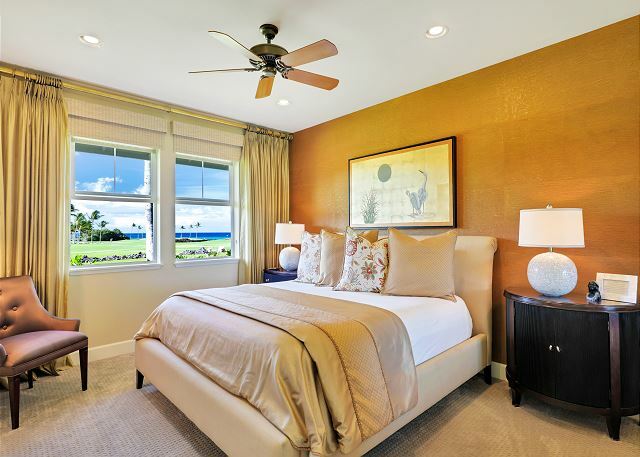 The Halii Kai 12B villa located in the Waikoloa Beach Resort is nothing short of spectacular. 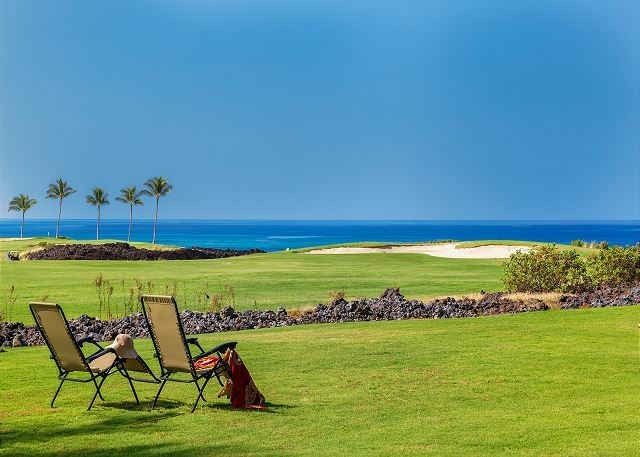 It has a stunning ocean view across the signature hole of the Waikoloa Beach Golf Course. 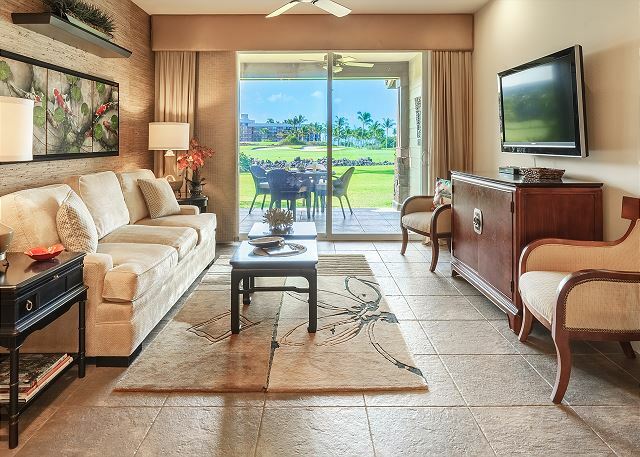 The lanai is the perfect place to watch the sunset after a full day of activities. It is a very short walk to the Halii Kai Ocean Club. This luxuriously furnished villa was professionally decorated. The living area has a sleeper sofa couch with two side chairs. It features an LCD television with extended cable and a DVD player. 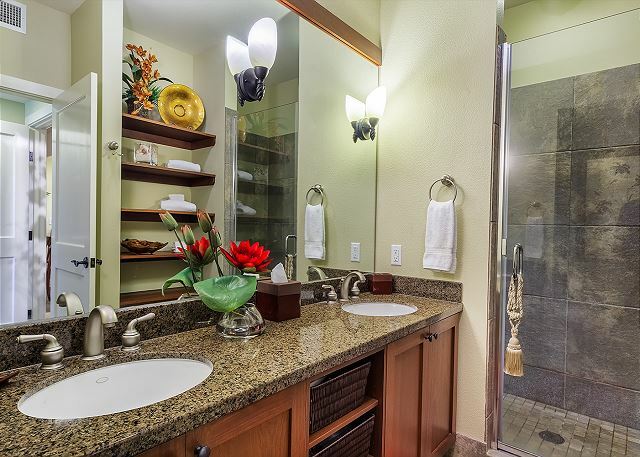 Enjoy wireless internet access throughout the villa. The dining area for four is just off of the living area. 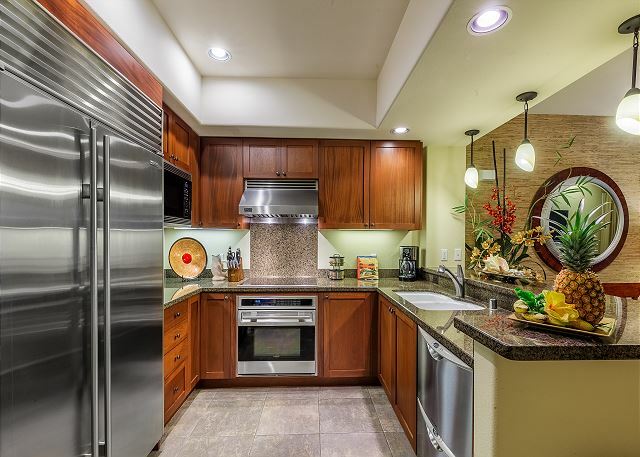 The villa has a fully upgraded kitchen with stainless steel appliances and granite countertops. It is fully stocked with cookware, utensils, dishes and glassware. 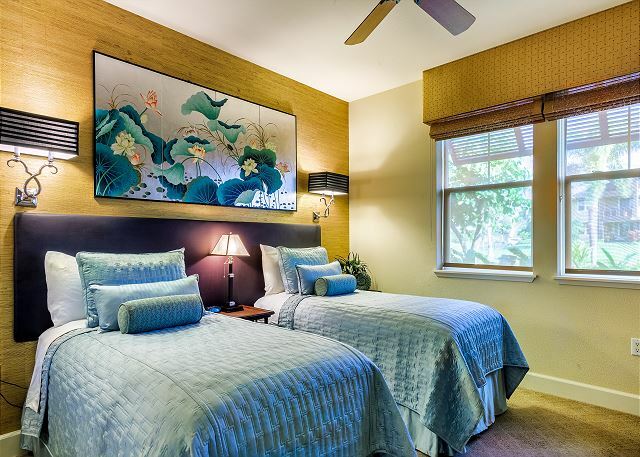 The master bedroom with a beautiful Asian decor has a king size bed. There is a wall mounted LCD television. This room also has an ocean view. 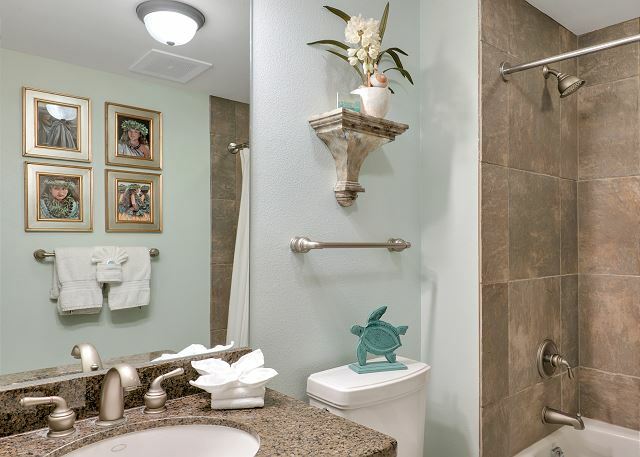 The master bath has dual vanities and a very large walk in shower. The guest bedroom has two twin beds plus a television. You can have the guest bedroom converted to a king size bed upon request. Just off of the guest bedroom is the guest bathroom with a tub/shower combo. 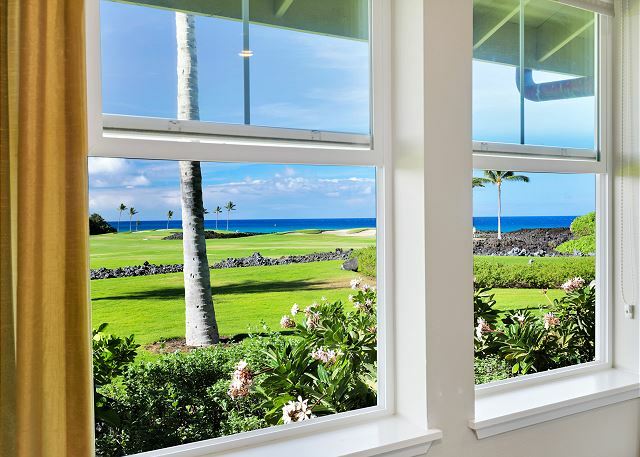 Between the spectacular view and the stunning decorating in this villa, your stay in Hawaii will be one you will remember for a lifetime. No smoking allowed except in designated areas on property. I can't say enough good things about Hali'i Kai ! 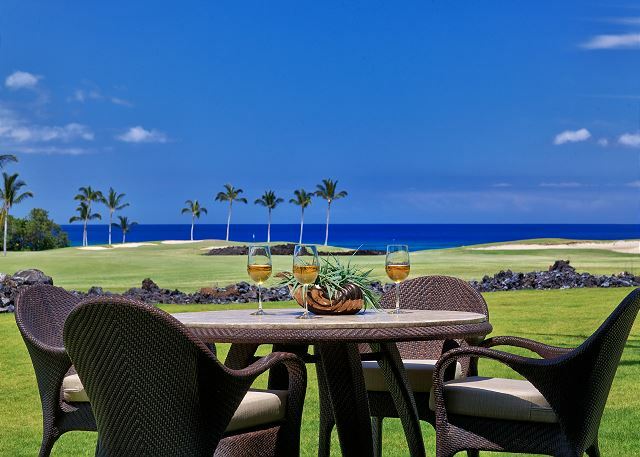 5/5 stars Review by Laura H.
Waikoloa Vacation Rentals is one of the easiest Rental Companies to work with that I have ever booked with. Seemless booking, arrival and 3 week stay. 12B is thoroughly stocked with everything you could ever need for your vacation and even more. The condo is just lovely, beautiful furnishings and was spotless. 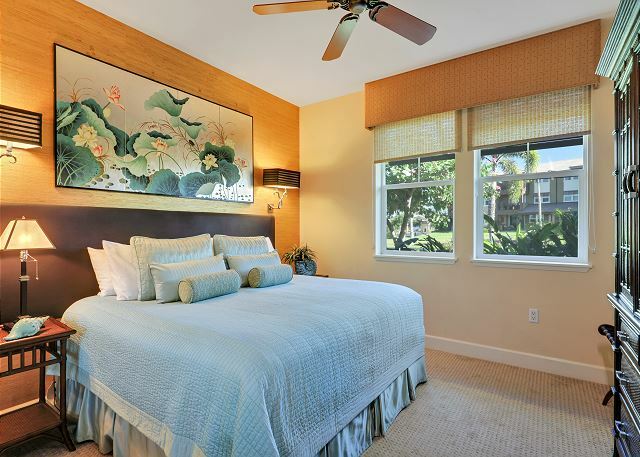 The master bed was so comfortable it was hard to leave it in the morning, except for looking out the window and wanting to go greet the beautiful day!We spent so much time on the lanai for sunsets, meals and just lounging. The view is fabulous. Intoxicating! We absolutely LOVED the pool/restaurant/bar and spent a good amount of our days there. Bartender Chris entertained us every day and we find ourselves missing him and his stories already. Beautiful complex! We met so many people from all over, it was a blessing. I don't want to end without letting you know how much fun the Hilton is and how accessible by a short walk from the complex! We ate at all their restaurants, and probably walked over there several times a week just for the enjoyment. You can get a daypass at their front desk and use the pool and lagoon all day too. We did that the day before we left the island, and have so many fun memories just from that day. 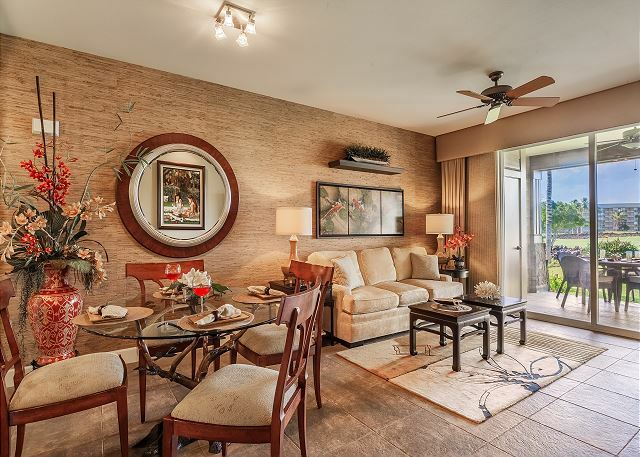 Mauna Lani to the North, has phenomenal restaurants and shoppes just like the Hilton. We are coming back! Mahalo and Aloha!